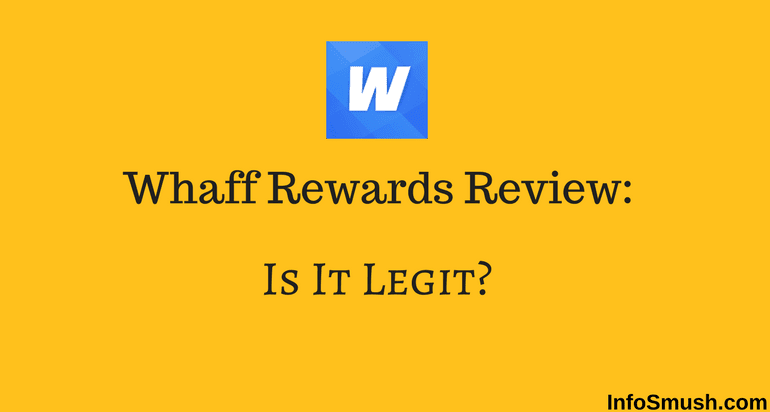 Whaff Rewards Pays you for downloading apps, watching videos and referring friends. 2. Open the app and login with your Facebook account. 4. That's it. You'll get $0.300. You can earn by downloading sponsored apps. Sometimes you can earn more by keeping the app installed on your device for a certain time or reaching a level or playing the game. There are two video providers at Whaff. You can only view one video from each video ad provider. Each video pays $0.005 so you can earn up to $0.010 from videos. You can earn $0.300 for every friend that signs up and enters your referral code. Your friend too will get $0.300 when he enters your referral code. From Whaff app you can get PayPal cash, Flipkart gift card, iTunes gift card, Etherium, Bitcoin Amazon gift card, Facebook gift card and much more. Payouts are made within 3 days excluding weekends. Yes, Whaff is a legit app to make some money with your phone. WHAFF Now I no get payout. WHAFF Already No payment has been made.